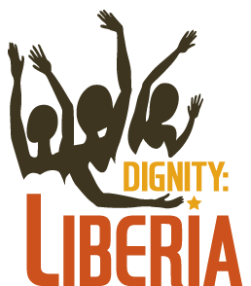 In 2016 Dignity:Liberia established itself as an NGO (non-governmental organization) in Liberia. This is important so that we have no gaps between our visits that prevent us from moving forward. Our Liberia office is headed by Emile D.E. Sam-Peal. Rev. Emile D. E. Sam-Peal, has served as the Superintendent/Principal of the Lott Carey Baptist Mission Schools, Brewerville, Liberia since 2008. Prior to coming to the Lott Carey Baptist Mission School as Superintendent/Principal, he served with the office of the Vice President of Liberia as Special Projects Director, where he coordinated, managed and implemented all specialized projects and programs to ensure delivery within approved policies and guidelines; assisted with administrative duties, speech writing and other functions deemed necessary by the Vice President and his Chief of office Staff. From 1992 – 2007, Rev. Sam-Peal served as the Executive Secretary (Chief Administrative Officer) of the Liberia Baptist Missionary and Educational Convention, responsible for coordinating all Baptist work in Liberia in the areas of evangelism, missions, Christian and secular education, strategic planning and development, and the overall growth of the convention. He is a Rotarian, member of the Rotary Club of Monrovia, Liberia, and a Paul Harris Fellow. Over the past 30 years, he has functioned as an administrator, advocate, caregiver, pastor, mediator, social worker, enabler, care-provider, counselor, therapist, to name a few. A few of the core values that help shape his life and person include integrity, patriotism, family, investment in our youth, love for children, care for the elderly,and lifelong thirst for learning and personal growth. Rev. Emile Sam-Peal is a graduate of the William V. S. Tubman High School; the Liberia Baptist Theological Seminary with a Bachelors of Theology degree; the Baptist Theological Seminary at Richmond, Virginia, USA receiving a Masters of Divinity degree. He has 2 children. Rev. Sam-Peal is an ordained minister of the Gospel, a member of the Effort Baptist Church, Paynesville, Liberia, and also of the Liberia Baptist Missionary & Educational Convention, Inc.
Matthew Walters answers the phone, takes care of bookkeeping, assists with logistics for volunteers traveling to Liberia, and arranges visits and surgeries with Dr. Mulbah. He also attends Fistula events and takes pictures for us. Matthew is a graduate of the AME Zion University and served as financial secretary of the First Baptist Church Oldest Congo Town. He grew up in Congo Town, Monrovia, Liberia with five brothers and two sisters. Matthew loves sports.